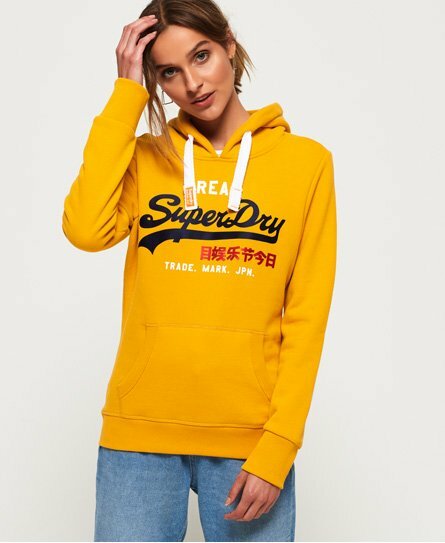 Superdry women's vintage logo bonded satin hoodie. Ideal for a relaxed look, this hoodie is a must-have this season. Featuring a drawstring hood, ribbed cuffs and hem and a front pouch pocket. This hoodie also features a large Superdry logo across the chest in a satin effect, applique badges on the sleeve and is finished with a Superdry logo tab in the side seam.